Maintaining resilience during the student affairs job search is much easier said than done. I am at a unique stage in my career, much different than when I was finishing my master’s program in postsecondary administration and student affairs (PASA) at USC…ahem…Fight on! I just got back from NASPA’s TPE (The Placement Exchange) in Philadelphia and I wanted to share three practices for building your resilience muscles in this vulnerable process. I don’t claim to have all the answers and am constantly asking questions. This process can be quite perplexing, isolating, and challenging. I want to discuss three areas of strategy and insight regarding resilience. 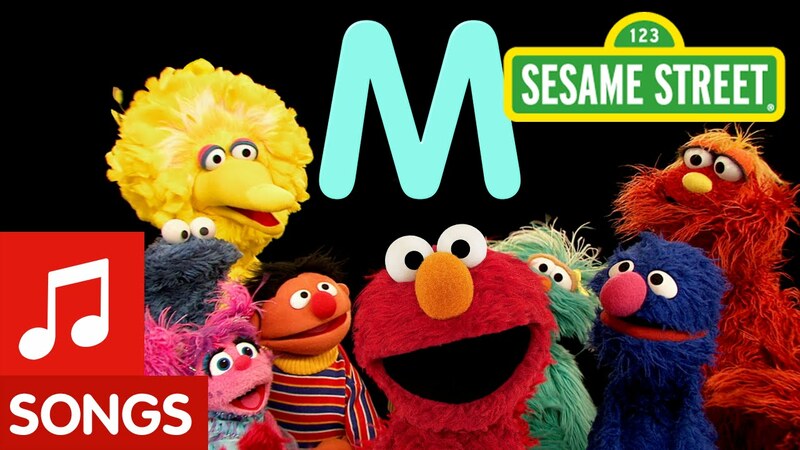 I am tapping into my inner poet and the letter “M” is quite popular today. This should come as no surprise given that I was raised in the era of Sesame Street. In reflection of my experience at NASPA TPE, here are three resilience strategies to consider: mindset, mentoring, and meetups. First thing first, your mindset is an essential asset in this whole process. The goal is to balance vulnerability with abundance and strength of mind, heart, and body. The job search is an incredibly vulnerable process and keeping our mind positive and inclined toward abundance is an ongoing process that pays off exponentially. A few strategies that help me overcome my own imposter syndrome and self-sabotage (hourly and daily) are surrounding myself with positivity. One simple strategy is to write positive affirmations on the bathroom mirror, on post-its in your office or personal spaces. Affirmations communicate to our subconscious brain that those positive statements we read are true. So as you move about your day, your subconscious keeps striving towards that state of being, feeling, or goal. Want some ideas for positive affirmation statements? Check out Pinterest for SO many great ideas and here is a quick resource that good old Google brought up first from the Daily Burn. Surround yourself with people who see your strengths, believe in you, and will tell you the truth with heart. My spouse is that source of positivity and authenticity for me. I find it helpful to have folx both within the field of student affairs and also those who have no idea about the nuances of the field. Who is the person or those people that bring positivity to your life and more specifically, to your job search? How can you create intentional support around the experience? Just like we create intentional experiences for students, we need to do that for ourselves. Carol Dweck, author of “Mindset” proposes the “growth mindset” and discovered the power of reframing our error or failure from the mindset of “not yet”, recognizing that we are lifelong learners. When we understand that each and every application or interview is a learning opportunity. They are chances to learn more about yourself in reflecting on the answers during the process. Framing your accomplishments and dreaming of your continued opportunities in the field as “not yet”, as those we are continuously striving towards, is a helpful mindset to practice. How can you incorporate the “growth mindset” into your job search process? How can you practice using “not yet” as a continuation of learning and development, rather than a final endpoint? Check out Carol Dweck’s “Mindset” on Audible.com free with your trial. The second practice to cultivate resilience in your job search process is mentoring. More precisely, I mean the act of mentoring others and engaging as a mentee. I want to dispel a myth that mentors are only those who are well established in the field, or senior-level student affairs professionals and faculty. Many of my mentors are new professionals who teach me optimism and fierce social justice activism, some are mid-level professionals who embody the wisdom of their years in the field and have unlocked much of the hidden curriculum in their daily institutional experiences, and some are seasoned professionals who have their sights on cross-field, cross-sector connections, trends, and future prospects. It was important to me and many others participating as candidates at TPE to cheer each other on, say “good luck” (and truly mean it), and check-in with each other about hydration, self-care, and meeting those pesky basic needs Maslow reminds us about (note snarky tone here). Each year, annual conferences provide an opportunity for us to mentor one another. I get to hug people and say “thank you” for their influence in my personal and professional life. I ask questions about campus culture and context for institutions where I am applying. I garner advice about career path decisions. Then, I simply see how my mentors are doing and make any connections to resources or other people where my current network provides the opportunity. I just LOVE connecting great people with other great people. I find it so fulfilling to strengthen our collective network and connections to one another. How are you practicing mentoring in your current job search? Are you mentoring others in their journey? Have you sent an update to mentors to let them know how you’re doing? Have you reached out to mentors to ask them how they’re doing? The job search can feel isolating at times. It is helpful to engage with others during this process. Have coffee or lunch with friends, colleagues, and cohort members. Attend webinars and online discussions, summits, webinars, and other professional convenings. Not only will you stay up-to-date on trends in the field, you will also likely feel rejuvenated by the endless possibilities for impact the field of student affairs offers us. Although your family and friends are potentially unfamiliar with the student affairs job search, staying connected with them can help maintain balance and stay grounded. Which upcoming personal gatherings can you attend, both in-person and online? What are the professional opportunities to convene with others in the field of student affairs? The student affairs job search is a windy road with successes and challenges along the way. I hope you found at least one nugget of helpful information to incorporate into your job search. I’m wishing you a resilient job search and amazing near-future opportunities in your search for the next great student affairs adventure. What resilience practices have you found to be most helpful in your job search experience? If you’re currently engaging in a job search, which resilience practices are you working on? Want to take your resilience practice to the next level? Register now for “Resist & Thrive: A 4-Week Resilience Coaching Experience”. Registration closes June 9, 2018 and the program begins June 25. * This post contains affiliate links and I will be compensated if you make a purchase after clicking on these links. These are all very good and serve to help sustain SA professionals that are in-between work and under-employed. I would also add a fourth “M” called “Mapping.” Mapping is connecting the dots of all your life experiences and leverage whether it is personal or professional. For example, I am using my volunteerism of conducting small groups within the church as an asset. And some light consulting providing tutor and life skills training to augment my professional profile. Conducting a personal histogram will be helpful in determining what pops up as a resource for mapping. Thanks for adding to the conversation Curtis! I am job searching. One way I am trying to stay resilient is by increasing my skills while I search, apply, and wait. I could sit around all day and just wait in front of the tv, or I can make the most of my free time and treat it as a professional development gift. I joined a professional organization, went to a conference, read a book in the field, am currently a beginner in learning a second language, and I put some emails out there hoping to do some informational interviews or possibly small group workshops. I am also using my time to grow in creative areas and explore options in life I previously didn’t have time for. I have also been taking the time to relax more, something I didn’t do at all before. I am staying positive, collecting magazines to make a vision board, and have really looked at this whole situation as a massive gift from the universe to realign my self to a different, better path than I was on.